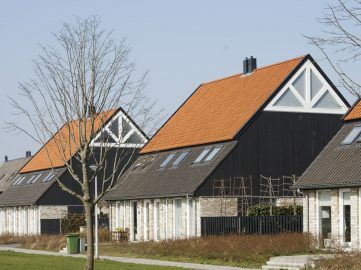 Blokzijl is a former fortified town on the border of the provinces of Flevoland and Overijssel. 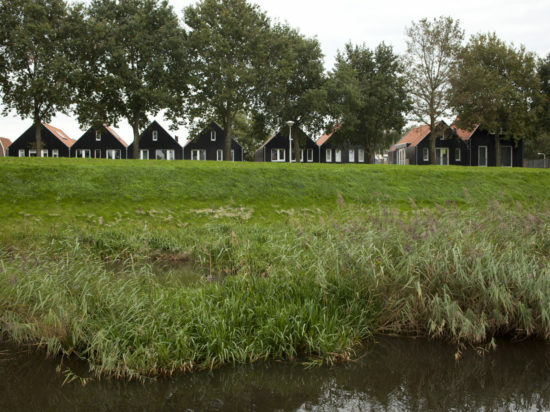 The plan area is located on the Groenestraat, against the ramparts, in a protected cityscape. 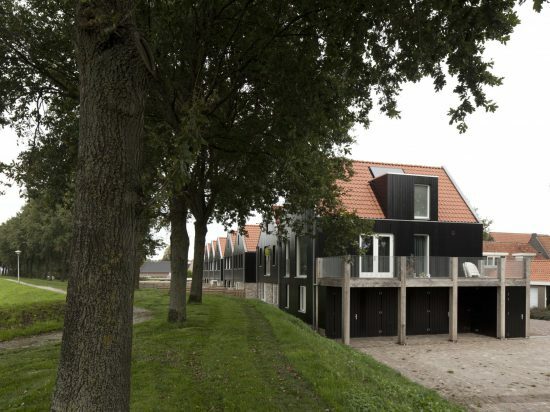 Commissioned by Woonconcept Vastgoed, B+O Architecten designed seven grounded houses and one upper house. 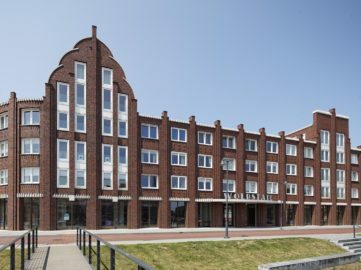 The building characteristics of Blokzijl were the starting point of the design. 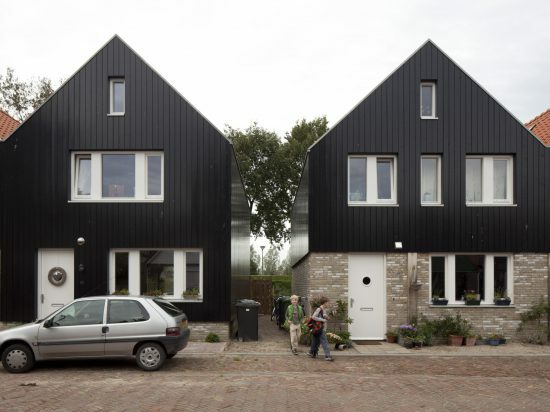 The design consist of three building blocks with individually recognisable houses. 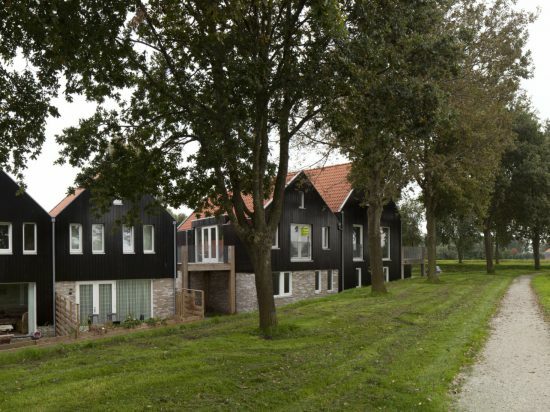 The front façades of the houses are adjacent to the public road, resulting in the narrow profile that is characteristic for Blokzijl. 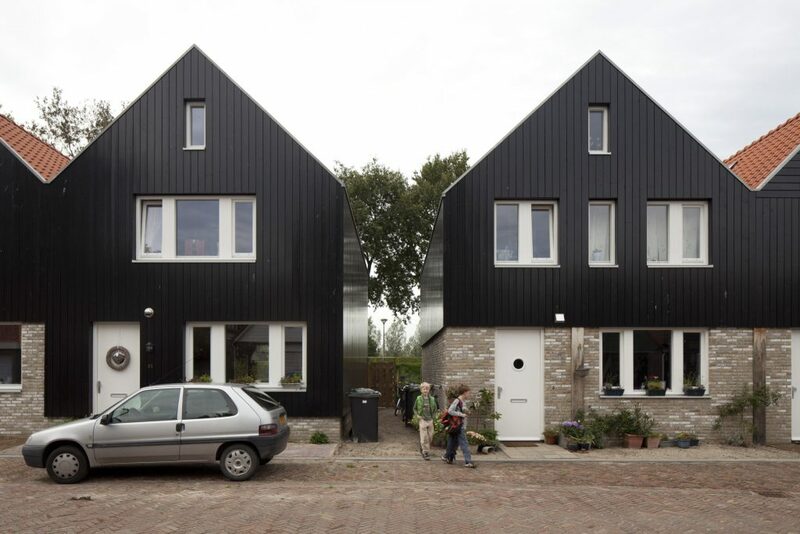 The architecture refers to the former houses in Blokzijl and other towns along the Zuiderzee, such as Marken and Volendam. 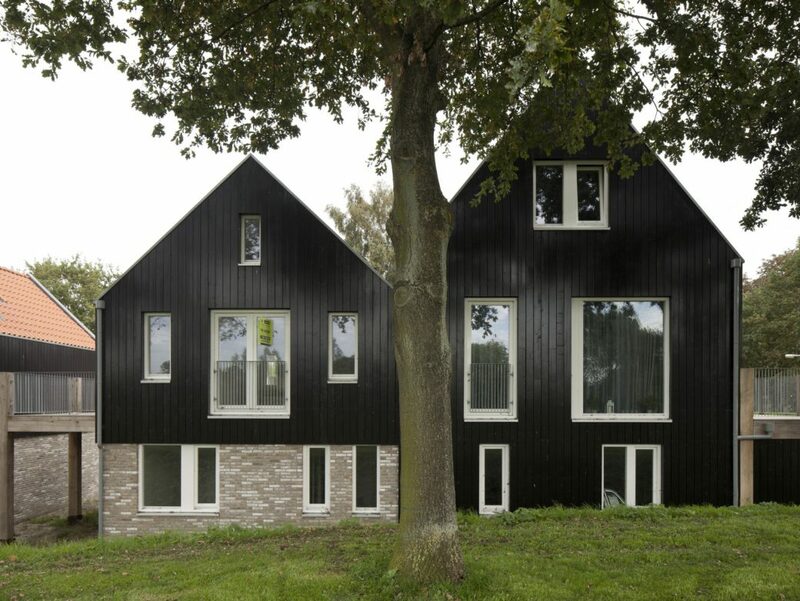 The black, vertical wooden cladding fits the subdued character of the Groenestraat and the ramparts. 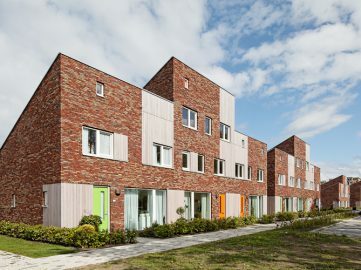 In addition, yellow masonry is used as a plinth. Masonry in this colour is common in this area. 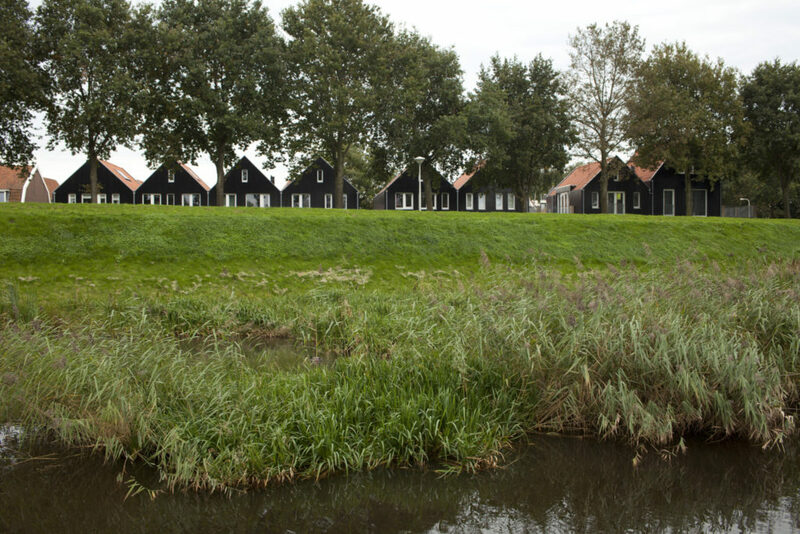 Seen from the dike, the plan forms a subdued roof landscape, fitting to Blokzijl. 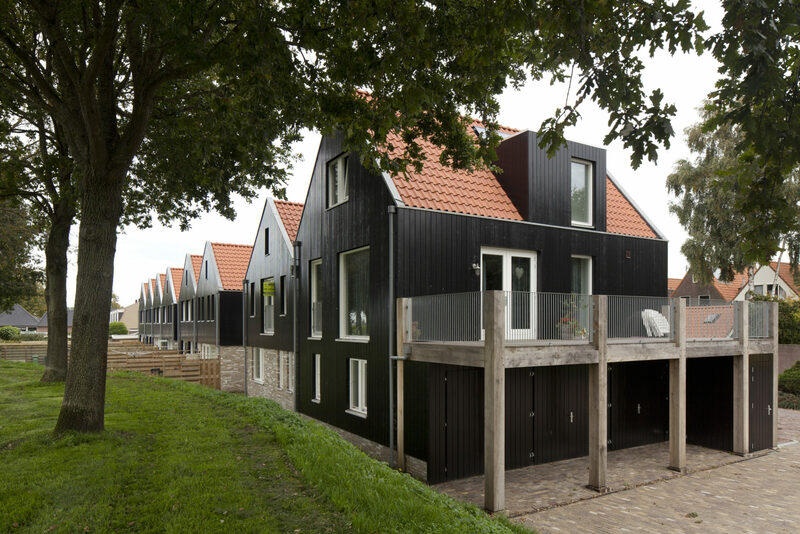 The carports and terraces have been made of sturdy wooden beams with wooden parts over them. This has a rough look and strengthens the maritime character that is typical for this kind of town. 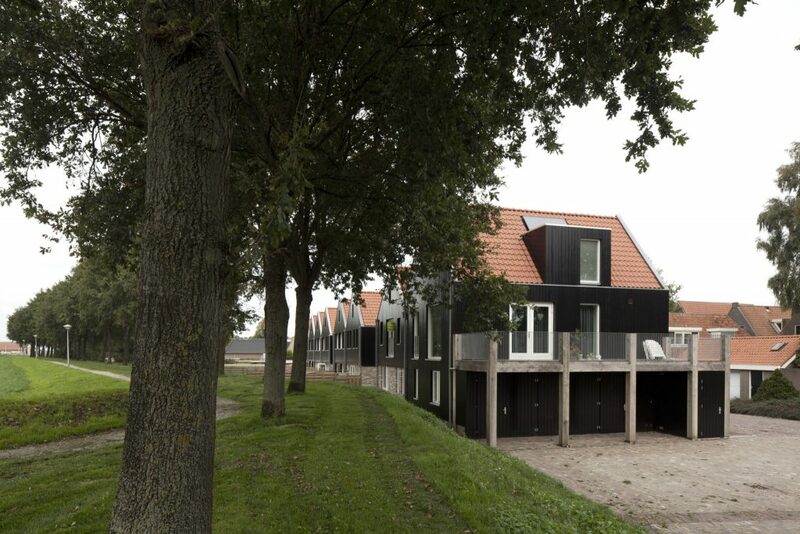 With this design, B+O Architecten gave an appropriate interpretation to this vulnerable ‘residual area’ of Blokzijl.